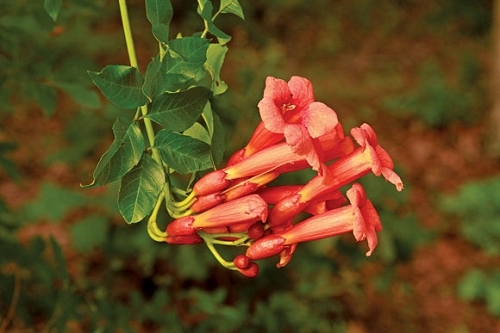 Trumpet Creeper is great for hummingbirds, but it should be planted in lawns or other places where its spread can be controlled. It will need something to climb, such as a trellis. If you mow around the plant, it should stay where you put it. It spreads by underground suckers and aerial rootlets. The rootlets can damage brick and wood over time, so keep it away from your house. Its ability to spread and root easily makes it a good plant for erosion control. 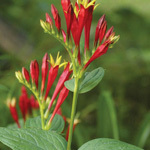 In addition to attracting hummingbirds, it is a host plant for the Trumpet Vine Sphinx Moth or Plebeian Sphinx.